Looking for an elegant way to store your smart devices? The Wood Veneer Charging Stand is the perfect answer for your all-in-one charging station needs. 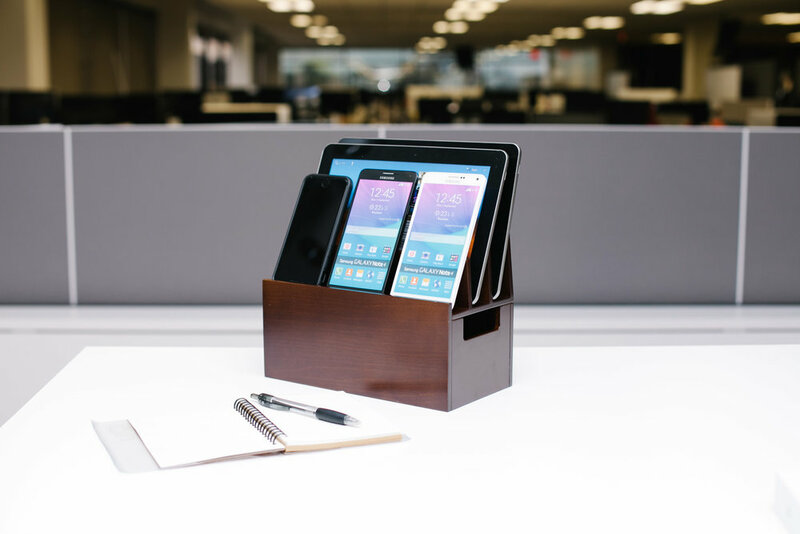 Modeled after the original design of the popular-selling Bamboo Stand, this charging organizer provides powerful magnets that secure the lid and ensure devices are safe and stable. The deep base neatly hides cables and wires from sight.